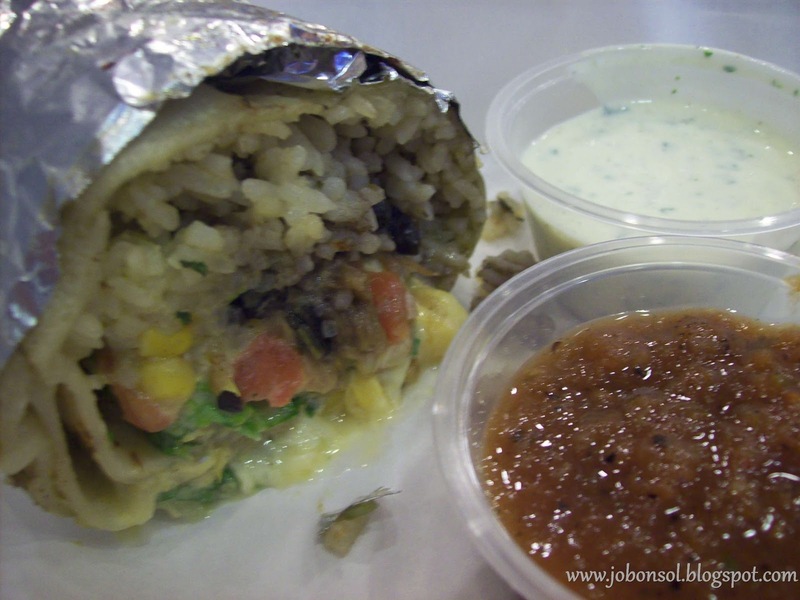 Event: Burritos and Tacos opens at Ortigas Avenue! 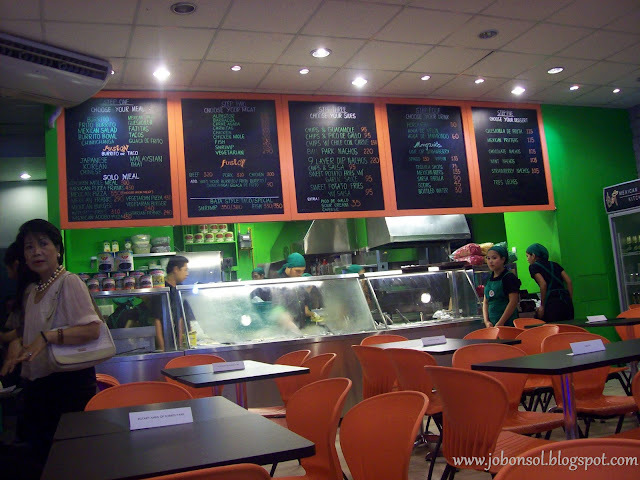 The best Mexican restaurant in Manila, Burritos and Tacos opened in Sekai Building, Ortigas Avenue, San Juan yesterday. Barbacoa Burritos (from P300-P400/serves more than two people) was really the best burrito I've tasted. 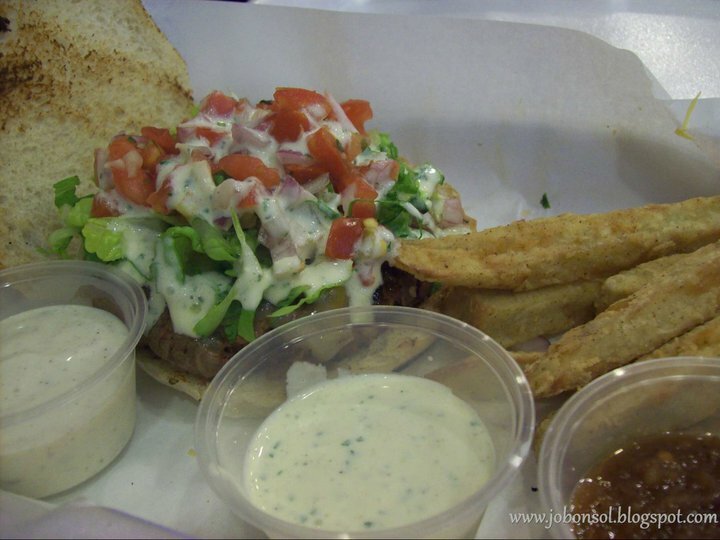 It has beef steak, tomatoes, lettuce, cheese and flavored rice with a special sauce served with salsa and cream cheese. Their burritos are really bigger than those served in Mexican fastfood and restaurants. Like Ristras according to fellow bloggers Karen Ang and Jane Uymatiao, Burritos and Tacos displays the menu in 5 steps. First, choose the meal you prefer from Burritos, Tacos, Salad, Chimichanga, Enchilada, Quesadilla, Burrito Bowl, Quaga De Froto and Fajitas. What makes the restaurant unique is the Fusion flavored Burritos in Thai, Japanese, Korean, Malaysian and Chinese. Second, choose the meal you prefer that goes well with your choices, Al Pastor (P300), Barbacoa (P300), Carne Asada (P320) and more. Third, you can choose your Tacos, Nachos and Chips choices especially their own distinct 9-layer dip. The said 9-layers consists of three types of cheese, jalapenos, black and red beans, tomatoes, cilantro, sour cream, pico de gallo and guacamole. Fourth step is choosing your beverage to go with your meal. Their Horchata (50) was so delicious I had a second cup. 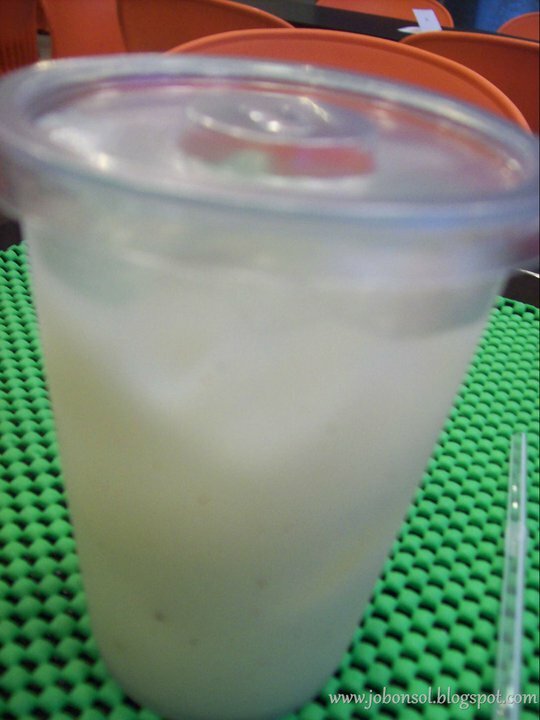 This Mexican traditional beverage is good for your health containing ground almonds, sesame seeds, rice, barley and tigernuts. 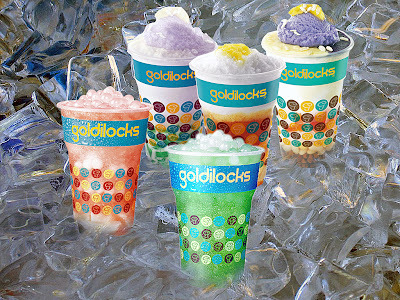 They also serve real Sarsa Parilla (P90)- real old-fashioned rootbeer which is the basis of softdrink. The last step would be the choices of Dessert to top the dining experience. Mint and Chocolate Nachos would be interesting. You can follow the menu steps but the servings are huge you'd probably need the whole family to enjoy or you can simply choose Solo meals. We enjoyed the Quesadilla with salsa, hot sauce and garlic dip, The soft Taco, The 9-Layer Dip Nachos (P220) and the Mexican Burger (P240) aside from my favorite Barbacoa Burritos (P300-P400). The space of Burritos and Tacos can hold more than 50 -60 people I think and the varieties of food choices are too many you'd want to come back for more of new dish offerings. I think I'd go back to get that Sarsa Parilla and those Mint Nachos. 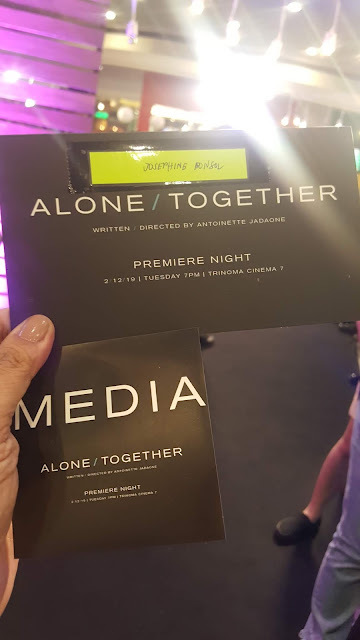 My deepest gratitude to Karen Ang for the invite and Ms. Jane Uymatiao for the wonderful company. 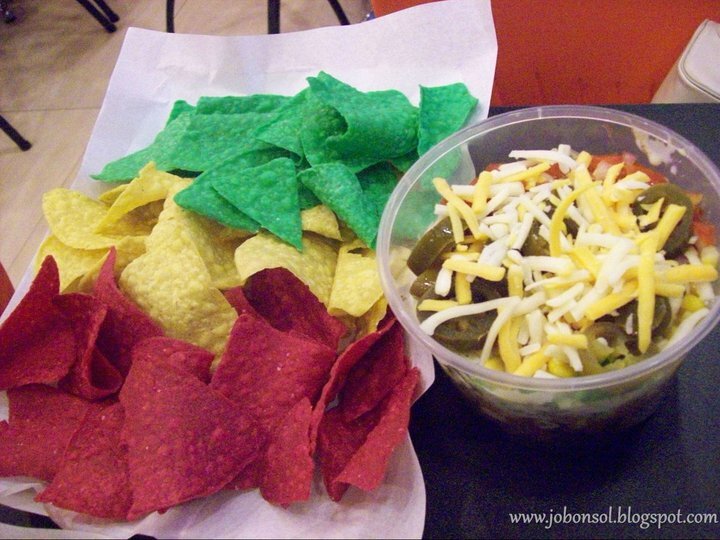 Try the new and more delicious Mexican food at Burritos and Tacos located at Sekai Building, Ortigas Avenue, San Juan, Metro Manila. 18.Review: I've met and ate at GoodFellas Steaks and Burgers! 19.Review: I love the waldorf salad of Kenny Rogers' Holiday Plate! haven't tried Manana but I guess the servings will really compare...Thanks @yangiwei for the comment. I'll visit Manana soon. How does this compare to ristras? 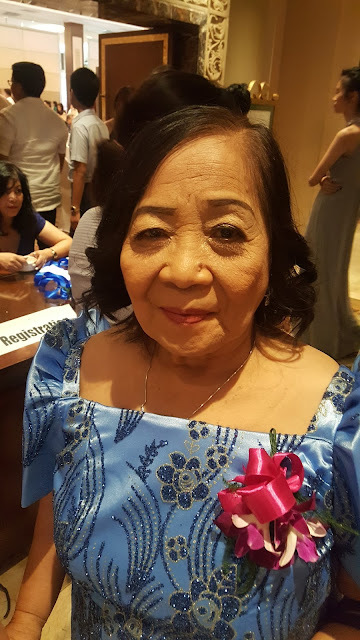 mas malaki un space at more food choices at least what my fellow bloggers said..